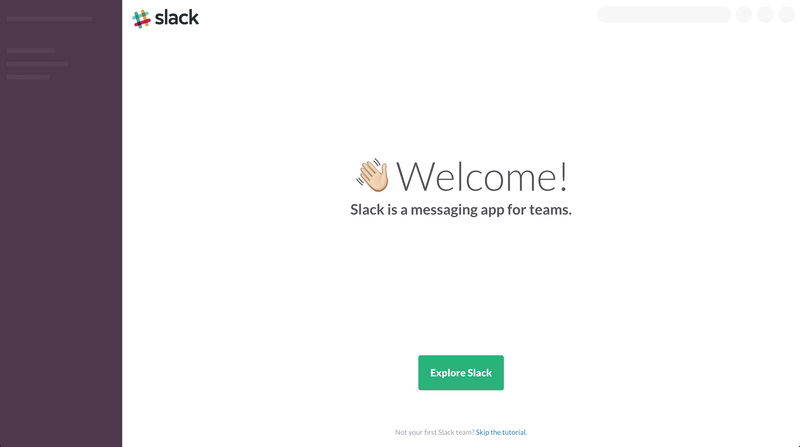 What we like: this is a great example of an engaging onboarding experience. 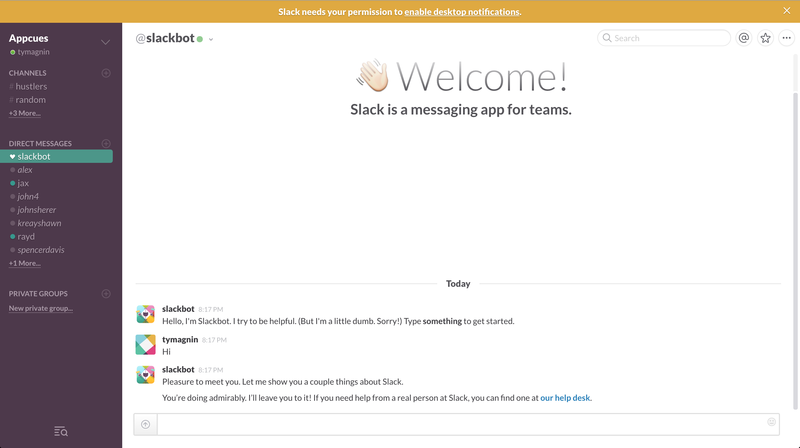 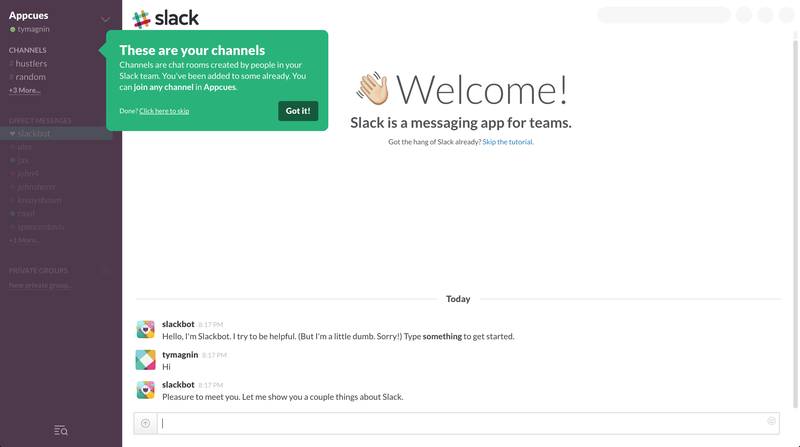 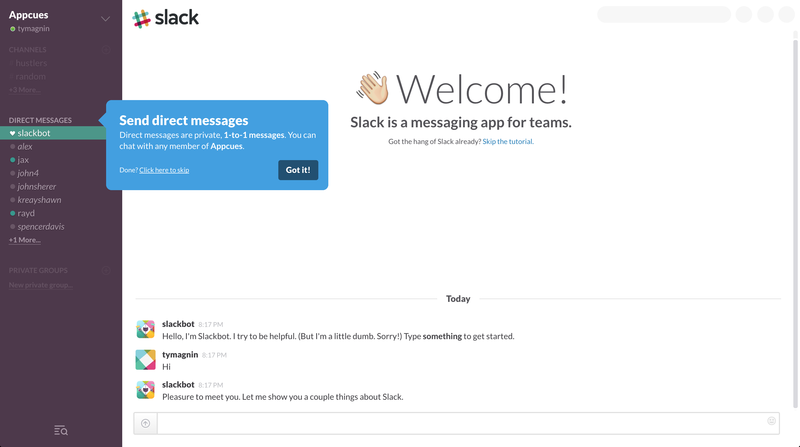 Slack encourages new users to learn the product by actually using it, with a message prompt from Slackbot. 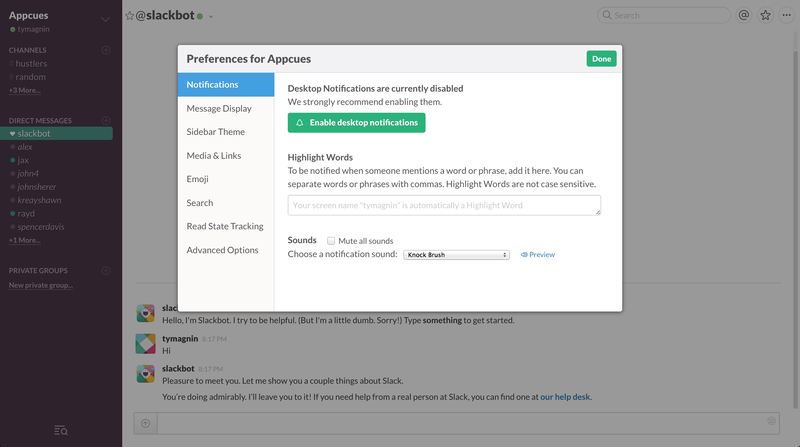 Plus, the tooltips are brief and informative, with an option to end the tour at any point. 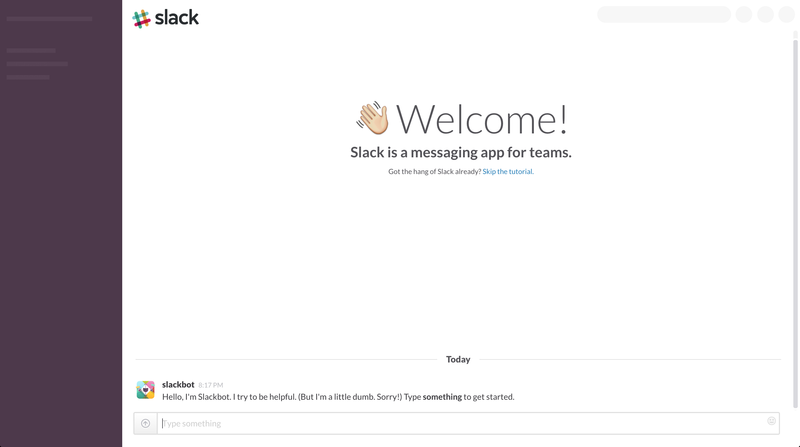 Lastly, Slack makes it easy to complete the onboarding process by implementing a modal window to enable desktop notifications.